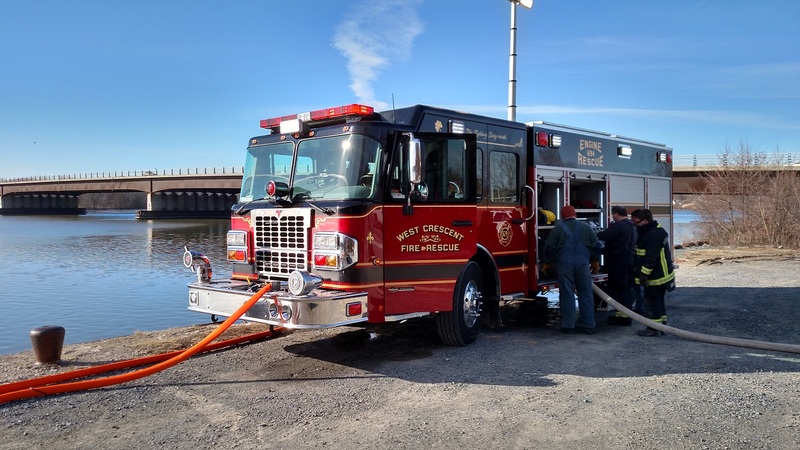 HGACBuy - Shakerley Firetruck Sales / VRS Sales Ltd.
West Crescent Fire District (NY) purchased this Spartan/Toyne Priority Response Vehicle through HGACBuy. Whether your Department is looking to buy a tanker, pumper, aerial device, or even a mini pumper; Shakerley Fire Truck Sales and Toyne Fire Apparatus can help you purchase the vehicle of your choice without the burden of the typical bidding process. The Houston-Galveston Area Council (H-GAC) is a regional council of governments operating under the laws of the State of Texas and governed by a board comprised of 35 elected officials from the 13 county region. The H-GAC Board awards all contracts, which can then be made available to local governments nationwide thru HGACBuy. Government entities join by executing an Interlocal Contract to participate in HGACBuy. This document sets out the conditions, requirements and processes through which an entity’s purchase orders are received, confirmed to contract and processed. Can my entity purchase through HGACBuy? I have to advertise for bids therefore I can’t purchase thru HGACBuy. HGACBuy uses mass circulation, minority emphasis, print media, and internet services to post legal notices and bid solicitations. Therefore, posting of public notices to solicit bids and the formal competitive bid process are satisfied thru HGACBuy procedures. What is the difference between HGACBuy and some other cooperatives? HGACBuy is a unit of local government and a political subdivision of the State of Texas. The HGACBuy Program is over 30 years old and specializes in high ticket, capital intensive products and services that require technical, detailed specifications and extensive professional skills to evaluate bid responses. All products offered through HGACBuy have been awarded by virtue of a public competitive process. There are no annual membership dues required to purchase thru HGACBuy. What does it cost to join HGACBuy? How is HGACBuy funded? HGACBuy is a self-funded "Enterprise Fund" government agency, self-supported thru an administrative fee assessed to the contractor. An "Order Processing Charge" (Administrative Fee) will appear on quotation forms for purchases of motor vehicles in the State of Texas in accordance with State of Texas, Department of Transportation, Division of Motor Vehicles requirements. What products are available thru HGACBuy? Primarily, products that are utilized in Public Safety, Public Works, and Communications, in addition to professional consulting, personnel and financing services. A wide variety of capital equipment is under contract, and thru a unique feature of HGACBuy it can be customized through the use of published and unpublished options to fit your specifications and requirements. If you would like additional information on how to purchase a Toyne vehicle through HGACBuy, contact Shakerley Fire Truck Sales and we will be happy to discuss the many options availible to you.